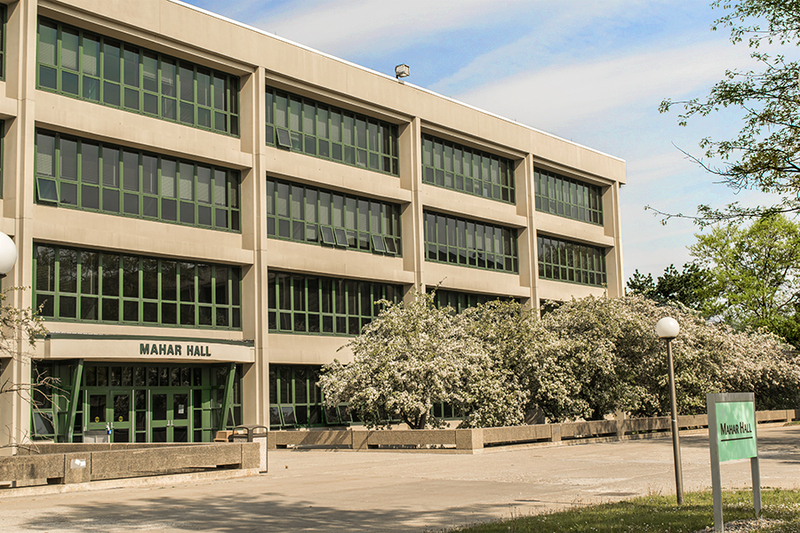 Mahar Hall was opened in 1966 as the Social Sciences building and it is still used for those academic programs. Located on the west side of the Academic Quad, Mahar houses the Social Sciences department, as well as classes from other departments. The namesake of the building is Marion E. Mahar, a former social studies teacher at the college. Mahar taught at SUNY Oswego from 1931 to 1952 and helped organize classes for residents of the refugee shelter at Fort Ontario during World War II.